What have you been able to squeeze out of your rimfire setup? I've never been a great shooter, but I have always been decent. 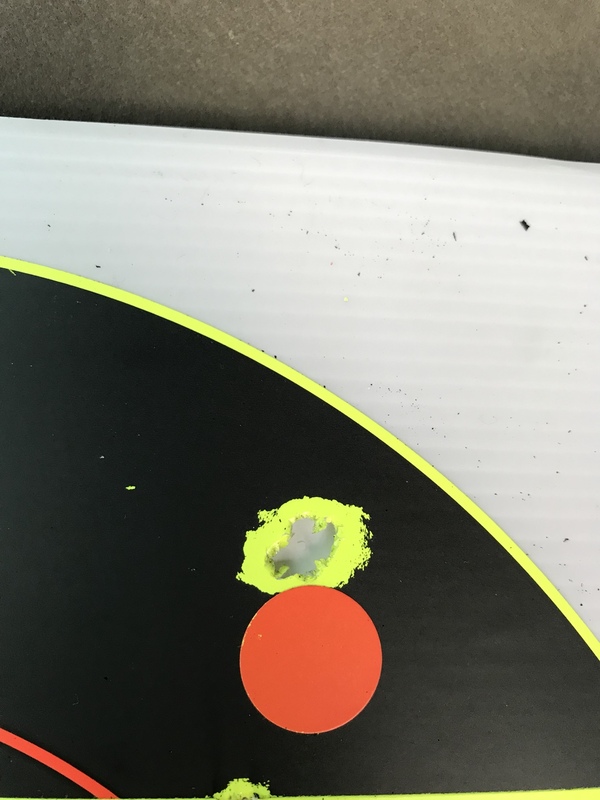 I did a little work with my trigger, torqued action to 25 inch pounds and playing with ammo options and got sub MOA @ 100 yards this past week. First time I've ever done it with .22 LR. There was a slight breeze but still pulled it off. At 50 yards same setup gets me ragged holes if I do my part. What ammo did you end up with? Excellent shooting, I haven't tried Eley yet but it is on my list. 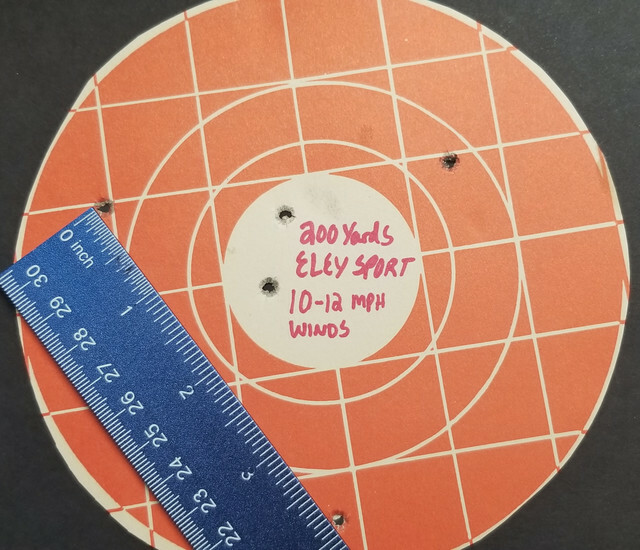 Gun seems to really like the Eley Sport, Wolf Super Match and the Lapua Rifle Match. Nice! I look forward to those 100 yard groupings. Before I got the match grade ammo I struggled to make a 4" group with bulk ammo at 100 yards. The ammo makes a big difference. I went out today for first time in a while. Had the chance to stretch it at 200 yards. Steady winds all day but for a gun thats not considered a premier target gun I think it did pretty dang well. Cant really say I had a "flyer" but if you remove the worst one it was a 3 1/4" group. Add it in and just under 4"
Good shooting. 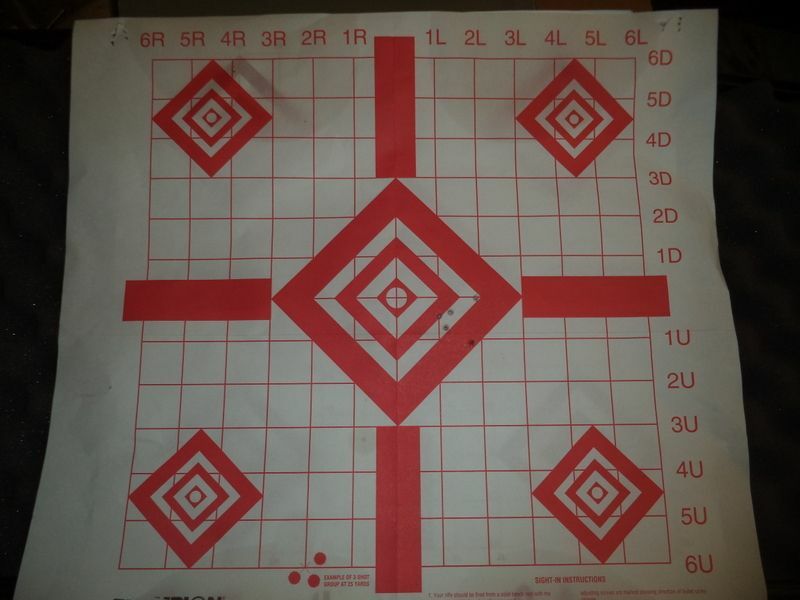 I won't say it's typical, but certainly not uncommon for me to get better groups at 50 yds than at 35 or 40. I know it's partially the ammo. But nearly every one of my seven .22s have demonstrated this anomaly with one brand/weight/velocity ammo or another every now and then, and they always have. Conditions (temperature, humidity, and wind) may also play a part in it. That is some laser shots with the .17 HMR. I have always wanted to try one out, but the cost and availability of .22 has so far prevented me from getting one. I feel that if I was to pick up another longer range rimfire it will likely be in .22 mag. Depending on your use, I would look very hard at the .17HMR. I had a .22WMR concurrently with my .17HMR's....the .22 never got used. With the .22WMR I struggled to get MOA; the .17's struggle to get over MOA; the trajectory to subsonic is flatter. The .22WMR has more energy; so if you have pest eradicating, having a slightly bigger bullet that punches in a little deeper might do something for you. For me, I've found the .17 HMR has plenty of energy, and capability; I've taken several badgers and several coyotes while gopher shooting. I am fairly studious in my attention to ammo prices and availability; I shoot high volume gophers in the spring, so price per round and availability is a major concern for me. The .17HMR was almost unaffected during the last couple scares; .22WMR got scarce. I prefer the 17 gr Vmax load from Hornady; I generally pay .16 a round for it. This means buying in bulk when things go on sale; usually it happens this time of year. Murdochs (an agricultural chain store here in MT and surrounding states) currently has the Hornady 200 rd pack for $32.00 - 16 cents a round on the shelf. The .22WMR in the 30 Gr Vmax (the preferred load for my rifle) was usually around 22 cents a round under similar circumstance.